Microdermabrasion continues to be a popular skin care treatment, and a favourite for men and women of all ages. The procedure exfoliates skin and stimulates healthy cell production, giving you a glowing complexion and more youthful radiance. It promises immediate results, making it ideal for special events. – Oily skin & clogged pores. The treatment helps clear clogged pores while smoothing out the texture of the skin. – Acne breakouts. Microdermabrasion exfoliation helps keep pores clear of debris and therefore, is an excellent treatment to control acne breakouts. The added benefit is that Micro makes it easier for the dermis to absorb topical acne and scar treatment products, enhancing their efficacy. – Skin pigmentation issues. Aging and sun damage can lead to the formation of dark spots and uneven skin tone. 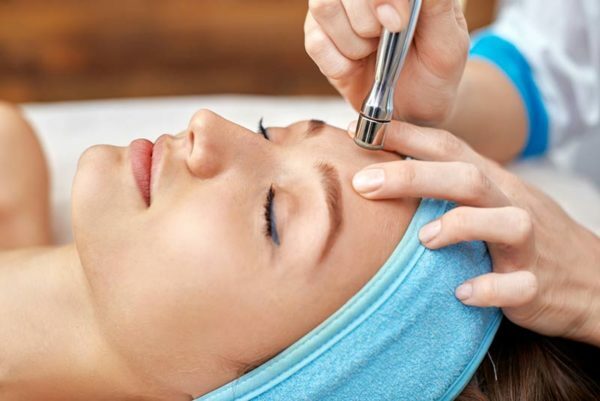 Microdermabrasion stimulates healthy skin cells and rejuvenates damaged ones, helping dark spots fade and reducing the visible effects of sun damage. – Dull and tired skin. This procedure stimulates the production of new cells, improving texture and making skin look radiant and more youthful. – Fine Lines. The treatment reduces the appearance of fine lines that appear with natural aging and overexposure to sun. Quick and painless. Microdermabrasion is a non-invasive treatment that uses suction and gentle “diamond tip” exfoliation to remove dirt and oil from the skin. It is often referred to as the “lunchtime facial” as the treatment takes 30 minutes or less. Flexible. Microdermabrasion is suitable for most skin types. It has a variety of treatment options and skin care technicians can adjust and customize the approach, depending on a patient’s skin type and condition. Prioritize safety; first ascertain that you’ve scheduled microdermabrasion with a trusted and qualified skin care professional in state-of-the-art facility.